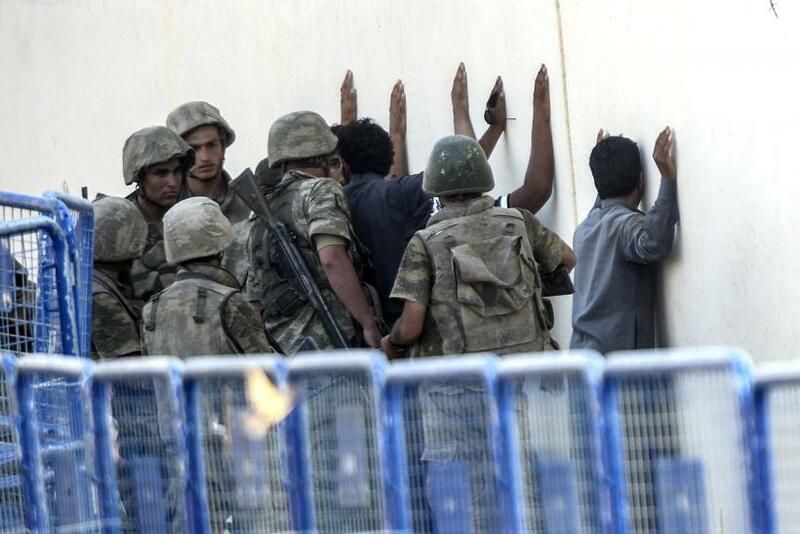 Fifteen alleged militants with the Islamic State group, also known as ISIS, were arrested by Turkish police in a series of simultaneous raids in Istanbul Thursday, Hurriyet Daily News reported. The arrests come as Turkey has stepped up a campaign against ISIS sympathizers across the country, following a twin bomb blast that killed some 100 people earlier this month. Five automatic rifles, an air gun and 300 cell phones were reportedly seized in the operation, which included special operation teams, riot police and helicopter-support. The sites raided were in two separate Istanbul districts. Turkish police have carried out a number of raids and mass arrests against alleged ISIS members in recent weeks. Some 13 suspected members of ISIS were detained in three separate Turkish cities Monday, and some 50 people -- including 25 children -- were detained in Istanbul earlier this month. Initial reports indicated that police claimed those detained were ISIS-sympathizers, mostly from Uzbekistan, who were running militant training camp for children in Istanbul basements. Turkey has for months been accused of turning a blind eye to the spread of extremism in the country, as a considerable number of young Turks have traveled to fight along militants in Syria and Iraq. A bombing in the Turkish capital Ankara earlier this month, which came months after a suicide bomber killed more than 30 people in the southern Turkish town of Suruc, prompted the government to more aggressively combat the group. Opponents of the ruling AK Party have charged government officials with negligence in failing to prevent the attacks, which largely targeted left-wing activists. One of the two men responsible for the Ankara attack -- the largest terrorist attack in modern Turkey -- was the brother of the Suruc bomber and was well known to law enforcement and media. The country is preparing for a contentious snap-election vote Sunday. Government opponents have raised concerns over a faltering economy, a purportedly flimsy democracy, the Syrian refugee crisis and rising security concerns. In the lead-up to elections, opposition parties and human rights activists have charged government officials with suppressing opposition.